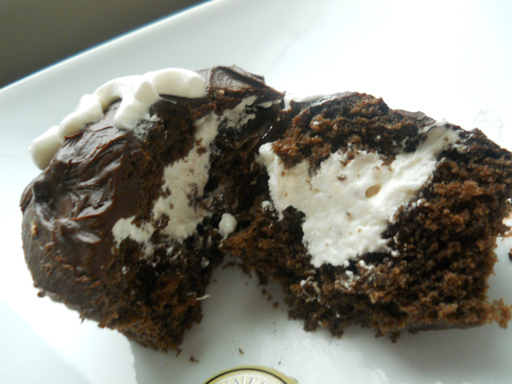 So, we’re on to part two of the great Irish Hostess cupcake project! The cake recipe posted on Monday. I’m not sure I want to think too long about what is actually in the real filling of the cupcakes on the supermarket shelves. It’s super easy and fun to make your own fluff, and you know exactly what’s in it – sugar, just like nature intended. I’ve used honey here because it rounds out the stout nicely. 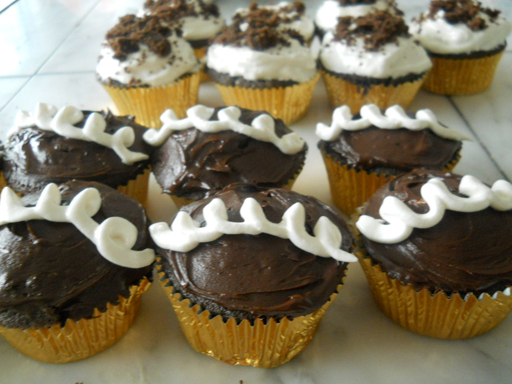 This recipe will give you plenty to fill all the cupcakes plus some leftover. You can do what I did, and use the extra to frost some of the cupcakes or you can make a couple of the world’s best fluffernutter sandwiches. 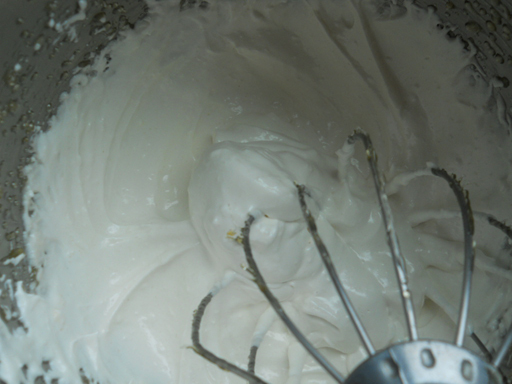 Beat the egg whites on high until you get stiff peaks. Set aside. 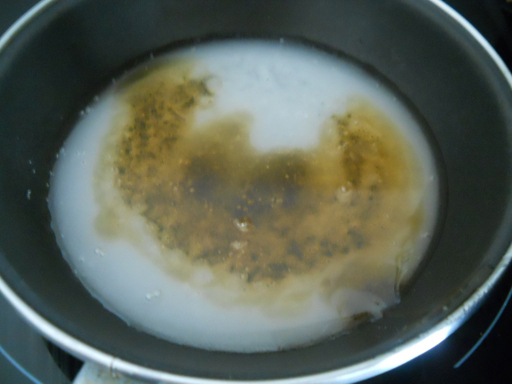 Combine the sugar, water and honey in a saucepan. 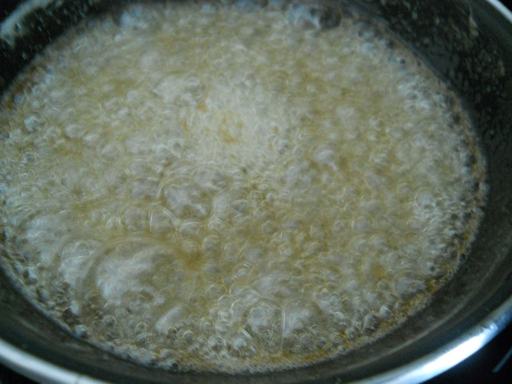 Bring to a boil and cook to 246 degrees, the firm ball stage. 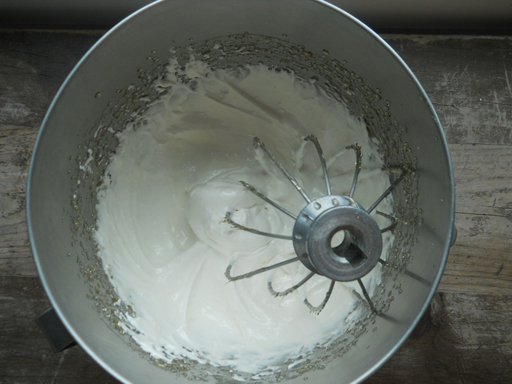 Working quickly, turn on your mixer and beat the hot syrup into the egg whites on medium-high until well-combined. When you’ve poured in all the syrup, add the gelatin mixture and vanilla, turn the mixer to high and beat for another five minutes, until light and fluffy. Now on Saturday just the icing and then we’ll be ready to put it all together! Categories: Beer and Wine with Chocolate, Chocolate Cakes Big and Little, Fillings and Icings, Uncategorized | Tags: cupcakes, dessert, food, Guinness, Hostess, stout | Permalink.